The Committee adopted the Draft Report of the Portfolio Committee on Higher Education and Training on its Study Tour to the Russian Federation on 14 – 21 September 2018. As part of the recommendations, the Committee agreed to invite the Department and provinces to brief the Committee on their student exchange agreements. The Committee briefly discuss a letter from the Speaker’ s Office which was referred to the Committee quoting remedial actions of the Public Protector that were not implemented by the Department of Higher Education and Training. The Committee noted the letter from the Speaker’s office; however, it felt it did not have sufficient information in order to take an informed decision on this matter. The Committee indicated that it needed to hear from the Department as well as review the Public Protector’s report. The Chairperson welcomed everyone and read out the apologies from three absent Members. The Chairperson said that the items on the agenda are the consideration and adoption of outstanding minutes and reports. 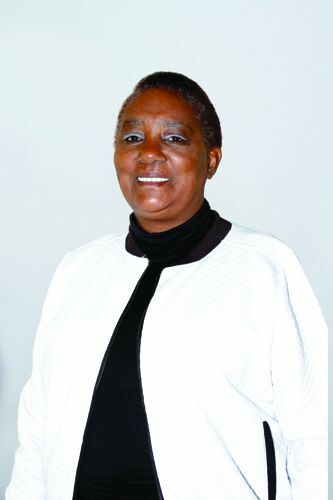 She informed the Committee that she has received a letter from the Speaker’s office which deals with Public Protector’s remedial actions that have not been implemented by the Department. It was referred to the Committee late yesterday but they will deal with that matter later on in the meeting. The Chairperson tabled the minutes individually for consideration. Mr D Kekana (ANC) moved for the adoption of the minutes. The Committee adopted the minutes with no corrections. Mr Kekana moved for the adoption of the minutes. Dr B Bozzoli (DA) seconded the move. Mr Kekana (ANC) moved for the adoption of the minutes. Mr R Mavunda (ANC) moved for the adoption of the minutes. Ms B Ndlovu (ANC) seconded the move. Mr Wolmarans moved for the adoption of the minutes. Dr Bozzoli seconded the move. Mr Mavunda moved for the adoption of the minutes. Ms Ndlovu seconded the move. Dr Bozzoli moved for the adoption of the minutes. Mr Wolmarans seconded the move. Dr Bozzoli made a correction to the final paragraph on page 3 where it is stated that the DA Members enquired about the amended Bill. She pointed out that the DA Members enquired about the minority report instread. The Chairperson agreed that the proper reflection of that sentence must be corrected in terms of what the rules says. Mr Kekana seconded the move. The Committee adopted the minutes with corrections. The Committee went through the report page by page. Mr van der Westhuizen stated that the important aspects of the report started in the observations. He referred to paragraph 3.1.2, which spoke of the universities that generate income through third stream funding. That observation of third stream funding is already an income. He proposed that the Committe remove the word “funding”, and rather say universities generate “third stream income”. Mr van der Westhuizen referred to paragraph 3.1.3 and stated that the words “budget spaces” did not make sense. Ms Mamphango Modiba, Committee Content Advisor, said that it is how the word is used in Russian universities in terms of allocating funds to students. Mr Kekana asked for clarity as to why Russia lost one million academics in its transition. Ms Modiba explained that Russia had indicated that it lost one million professional and research scientists to other countries, but that motivated it to train more professionals and scientists. The country also put in place regulations to retain their scientists and professionals, which is why they are paid more so as to retain them. Mr van der Westhuizen noted paragraph 3.9.2 where it is stated that the Russian Federation has specialised universities which are established to provide critical and scarce skills to respond to economic needs of the country and specific regions. He proposed that as a Committee they should extend that observation to specific sectors of the economy in South Africa like transport and power/electricity. The Chairperson said instead of only mentioning the 2 sectors they should rather be across all sectors of the economy. Mr Mavunda agreed that they should say across all sectors. Mr van der Westhuizen proposed in terms of recommendations that a study should be done on the costs effectiveness of foreign study at undergraduate level as compared to local training institutions and the Department of Higher Education (DHE) should initiate that study so that it gives guidance to young potential graduates. The Chairperson said there is a lack of consultation in provinces with the Department in terms of their plans in sending students abroad, and that is their contention as a Committee. She proposed that in terms of this report they should invite the Department to brief the Committee on the student exchange agreements it has with different countries so that they familiarised themselves as Members with the contents of those agreements and how they work. In terms of the provinces the Committee should say in this report that it has observed that the provinces do not confer with the Department when they decide to send students abroad. The Committee’s preference is that this thing should be dealt with by the Department and this must be linked to the objectives of skills development of the country. Mr van der Westhuizen also proposed that South African Professional Bodies be consulted and approval must be gained from them so that qualifications can be recognised when students go abroad to study. The Chairperson said all of that is very important because any student going to study abroad needs to be sure what they will study and as Government they need to see how that will benefit the country and all professional bodies need to be informed of that study. Mr Mavunda proposed that they should align their professions and invite different departments before sending students abroad. Mr Mavunda moved for the adoption of the report with amendments. Mr van der Westhuizen seconded the move. 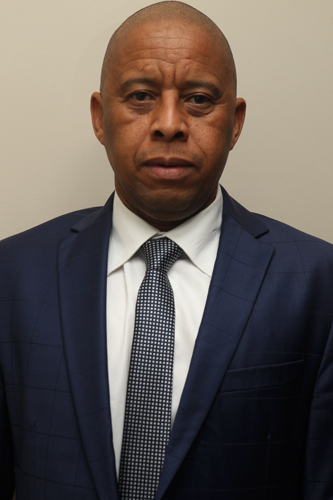 The Chairperson summarised the contents of the letter as follows: It should be remembered that there was an investigation that took place at the Tshwane South College regarding the non-compliance with the Public Protector’s remedial action by the Department’s failure to implement the recommendations in terms of the report on investigations relating to procurement irregularities, maladministration, nepotism, victimisation and corruption at this particular college. The Public Protector’s letter is hereby referred to the Committee for consideration and report. In the letter to the Speaker’s office the Public Protector talks about the implementation of the remedial action and everything else she has already mentioned above. The Public Protector had issued a remedial action which had not yet been implemented by the Department. The Public Protector is now escalating this matter in terms of section 55 of the constitution to the National Assembly to exercise its oversight over the state organ for non-compliance with the implementation of the report. The Public Protector acknowledges that the Department has instituted a judicial review against the report. The Chairperson said that this letter came very late yesterday and the officials from the Speakers office said they will clarify this matter. Mr Khaya Zweni, Head, Speaker’s Office, said indeed this is a legal question that the court has pronounced on and in paragraph 4 of the Public Protector’s letter it is quoted that the constitutional court concluded that the remedial action by the Public Protector firstly is binding. Secondly, it can be taken on judicial review. Thirdly, taking the matter on judicial review does not necessarily have an effect of stopping the respondents implementing the decision of the Public Protector. Therefore, the decision of the Public Protector is binding until it has been set aside by a court. Mr Zweni said paragraph 6 of the Public Protector’s letter stated that according to her records a court has not set aside the decision hence queries related to the implementation of this remedial action. Now the Public Protector has escalated this matter to Parliament, which is in accordance with the constitution because Parliament has an obligation to support these chapter 9 institutions to ensure that their remedial actions or recommendations are implemented, and the Committee is the vehicle by which the Speaker can use to exercise its oversight over the department. Mr Zweni said the 10 days that is reflected on the letter is the deadline by which the Speaker has to respond to the Public Protector hence the Speaker has referred this letter to the Committee to respond or maybe call the Department to come and answer to this Committee as to why it has not implemented the remedial action of the Public Protector. Dr Bozzoli said that first of all without the copy of the Public Protector’s report the Committee cannot comment on this matter. Therefore, they need a copy of the report urgently. Secondly, what is the essence of what is not being done? How many recommendations are there? What are the key recommendations? The Chairperson said the Committee need to be supplied with sufficient information from the different parties to the dispute. The Committee should note the letter from the Speaker’s office, however, it must be provided with sufficient information in order to take an informed decision on this matter by firstly calling the Department to appear before it to hear from its side. Secondly, the Committee only received a letter from the Speaker and it has not been provided with the Public Protector’s report. Therefore, sufficient information is needed in order to respond to what the Speaker has requested them to do as a Committee. Further, the Department should be invited to come and appear before the Committee to explain why it has not implemented the remedial action of the Public Protector. The Speaker can request the Public Protector to provide her with the entire report so that the Committee could engage on this matter in the next term. The Chairperson thanked Mr Zweni for availing himself and appearing before the Committee. She thanked Members and support staff for their inputs and participation.